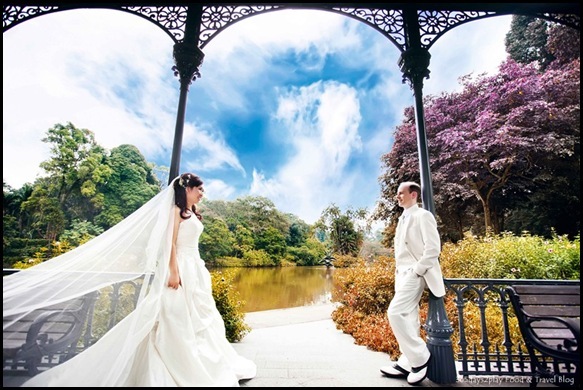 This wedding photo was taken at the Singapore Botanic Gardens. No we don’t have purple trees there. And yes, you may have a winter scene should you wish to have one. 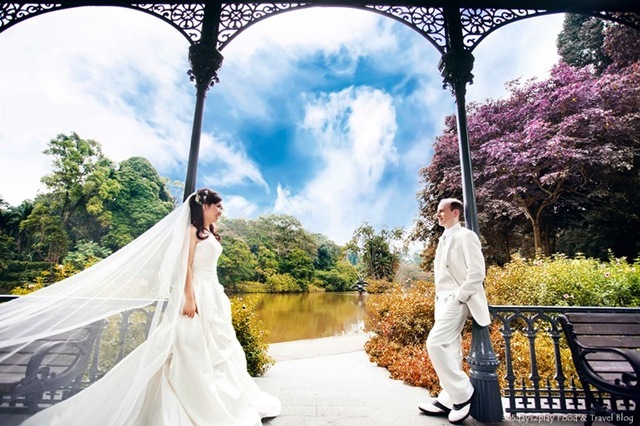 No need to fly to Taiwan or Korea to get winter wedding photos. 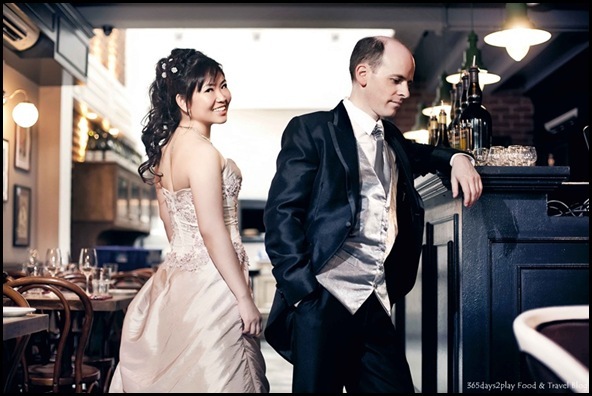 This wedding photo was taken at La Maison Fatien. I chose this place because I love the woody, vintage French look! This photo was taken at Au Chocolat at Marina Bay Sands! 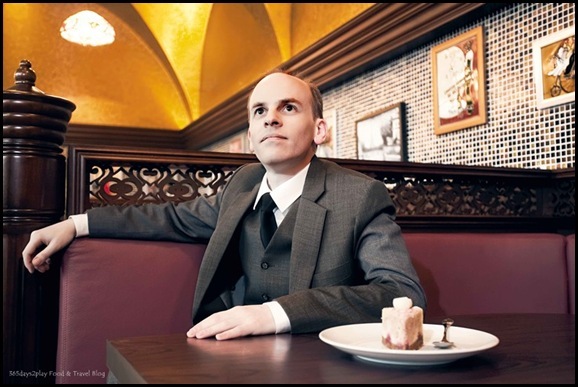 Food blogger, what can I say, I have 2 restaurant venues for my wedding photos! They do charge a fee if you want to have your wedding photos taken here though. Our make up artist had never been to Au Chocolat and ended up buying a few goodies back for her son! Solo shot of the husband looking dapper. You see he was mesmerised by his bride and not really paying attention to the $9 piece of cake. 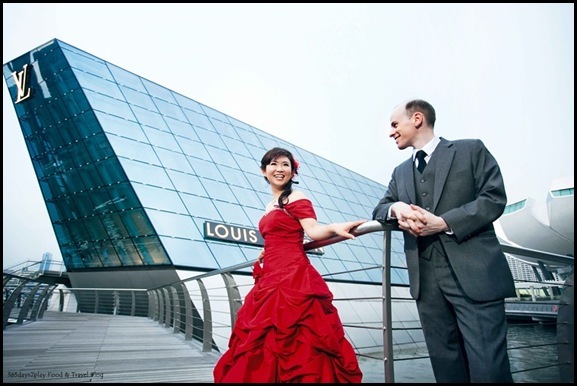 And one of the last few photos of the day was taken at Louis Vuitton outside Marina Bay Sands. I don’t know why I’m smiling so broadly as if I just bought 10 bags from LV. And I suppose the husband is smiling because I didn’t manage to buy a single bag from LV. Now I feel like taking more wedding photos again! 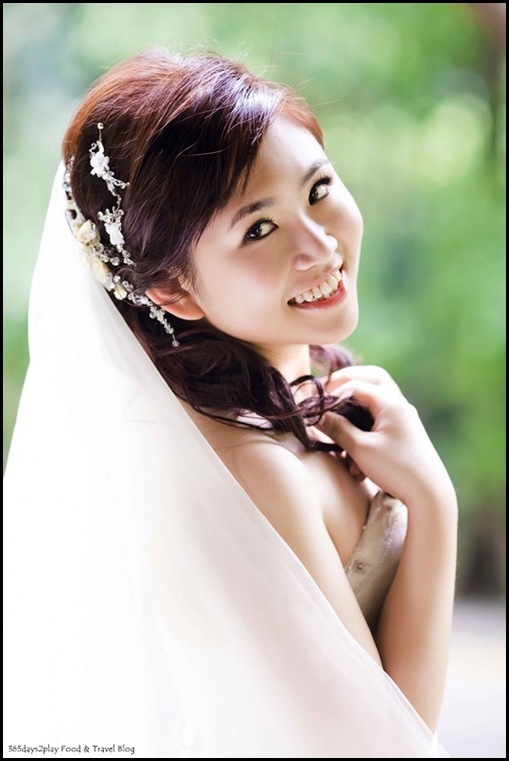 Click here to read more about my wedding preparations and the grand day itself. I love the wedding pics Dawn!!!! you look gorgeous!! OMGGGG, you look gorgeousssss!!!! Definitely win xia xue hands down! you should be a beauty blogger!!!!!!!!!!!!!!!!! !